Eltham photographer Mark Bellringer’s work will be recognisable to the locals coming in to view his show. 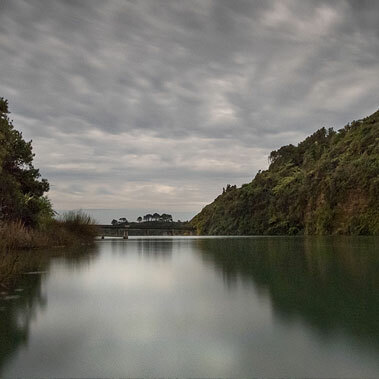 This Exhibition “North Coast” explores the coast and inlets of North Taranaki. Tongaporutu, in particular is featured as Mark has stayed there on a number of occasions. “I enjoy this part of the country and have fished and explored it over the years”. As well as working for the Daily News when he first left school, Mark spent 15 years teaching in the Art Department at Western Institute of Technology in the Art Department. This exhibition, which runs from the 15th February until the 21st of March, features canvases and framed prints shot over a number of years. You can see more of Mark’s work on his website markbellringer.co.nz.